GRAMMY-nominated Michael Cleveland, Flamekeeper star at Bluegrass Music Kickoff. LOUISVILLE, Ky. - Dec. 12, 2017 - PRLog -- Michael Cleveland, International Bluegrass Music Association's 10-time Fiddle Performer of the Year, has just been nominated for a 2018 GRAMMY Award in the category of Best Bluegrass Album for his newest release, "Fiddlers Dream." Cleveland headlines the 13th Annual Bluegrass Music Kickoff, a Kentucky Top 10 Winter Event planned for Jan. 26 and 27 in 2018. He and his Flamekeeper band, an IBMA 4-time Instrumental Group of the Year, perform at Lebanon's Roby Dome at Marion County High School on Saturday, Jan. 27. On Sunday, Jan. 28, the 60th GRAMMY Awards will be televised on CBS from New York City' Madison Square Garden at its new time of 7:30-11 p.m. Eastern. 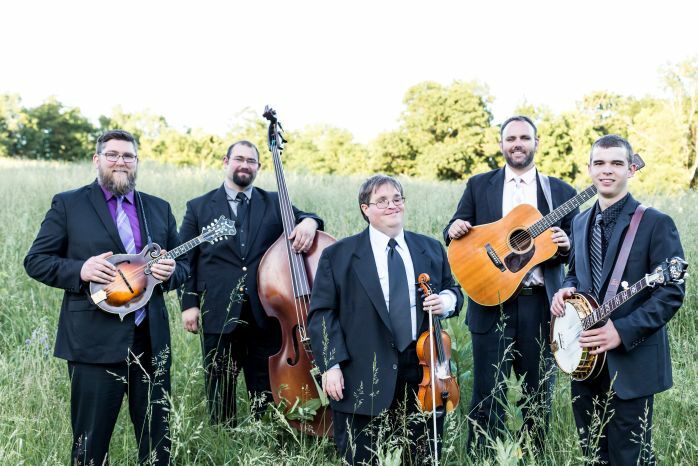 "We are thrilled to bring a stellar caliber of bluegrass entertainers to Lebanon each year, and none shine brighter than Michael Cleveland," said Nena Olivier, Lebanon Tourist & Convention Commission. "He is an amazing talent." One of the world's premier bluegrass fiddlers, Cleveland has been playing the fiddle since age four. He debuted at the Opry as a guest of Alison Krauss, was handpicked for the IBMA Bluegrass Youth Allstars before he was 14, and has performed with Vince Gill, Marty Stuart, The Mark Newton Band, J.D. Crowe and the New South, Audie Blaylock and Redline and Dale Ann Bradley. He is known for delivering powerful, exciting and authentic bluegrass music. In 2006, Cleveland formed his band, which includes Nathan Livers, vocals and mandolin; Josh Richards, vocals and guitar; Josiah Shrode, banjo; and Tyler Griffith, vocals and bass. Michael Cleveland and Flamekeeper's second release, "Fired Up," achieved the number one slot on Sirius XM Bluegrass Junction's Most Played Albums chart. "On Down the Line" is the band's third album and first for new label home Compass Records. Compass Records describes Cleveland's "Fiddlers Dream" as "his finest studio album to date: full of the fire and finesse that has earned him fans from across the globe." For the Bluegrass Music Kickoff, Michael Cleveland and Flamekeeper will be joined by other popular bluegrass entertainers, including perennial favorite Gary "Biscuit" Davis; Trinity River, celebrating its tenth anniversary in 2017 as the most successful, all-in-one-family bluegrass band of the last six years; and Kentucky Just Us, a family group known for its tight harmonies, heartwarming lyrics and unique fresh sound. Both Trinity River Band and Kentucky Just Us will perform on Friday and Saturday evenings. Additionally, 4-time National Banjo Champion Gary "Biscuit" Davis will invite those inclined to join him on stage both evenings to "Jam with Biscuit." These impromptu performances have been compared to the "Gaither Reunions without the Gaithers," with as many as 20 to 30 performers on stage playing and singing the old-time favorites. An optional Dinner Show will also take place on Saturday evening. Bluegrass music workshops will take place on Saturday, along with the Singer/Song Writer Competition, which is scheduled for 2 p.m. Visit the festival website for more details and call 270-692-0021 to reserve tickets. Festival website: https://visitlebanonky.com/events/kentucky-bluegrass-music-kickoff-3. Check Facebook page for updates: www.facebook.com/pg/KBMK2016. Overnight Packages (https://visitlebanonky.com/package-deals) include 1 or 2 nights at the Lebanon Hampton Inn (Jan. 26 and/or 27, 2018), complimentary hot breakfast for two, 2 dinner show tickets and a Heart of Kentucky gift bag. From $205. All-inclusive $55 Ticket includes Friday show and Saturday dinner show. $25 Ticket includes Friday and Saturday show (no dinner). $15 Ticket includes entrance to Friday night show only. Book: Tickets and overnight packages online here (https://visitlebanonky.com/package-deals). Plan your Bluegrass Music Kickoff weekend getaway at www.VisitLebanonKy.com. Extend your stay to tour Maker's Mark Distillery and new Maker's 46 Cave, Kentucky Cooperage and Limestone Branch Distillery and make a selfie stop at the Maker's Mark Water Tower. Pop into the new County Seat Kitchen & Bar for farm-to-table dishes and Kentucky bourbon flights.